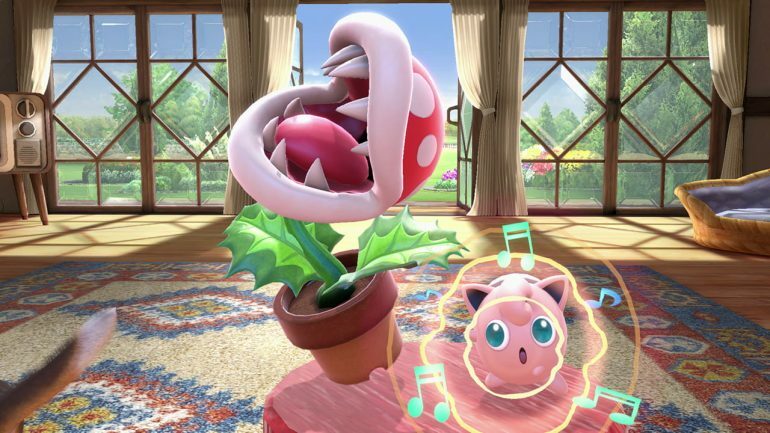 Super Smash Bros. Ultimate’s first DLC character, Piranha Plant, has finally arrived— and he is still free to get for the next 24 hours. That’s right. the first character to come to the game as DLC is entirely free and will require no extra purchase so long as you buy and register the game by the end of the day. Nintendo has been offering the Plant as a promotional character for those who purchase the game early. Players have had since Dec. 8 to register the game on their Nintendo Switch account to be sent a free code through their emails. Today, however, is the last day to get the character for free and anyone who fails to register their games by the end of today will need to purchase the character separately on the Nintendo Switch online store. The Plant released for the game yesterday as part of the 2.0.0 patch. The character was expected to release “sometime in February” but Nintendo surprised by bringing out the first DLC character ahead of schedule. With the Plant now out, work will begin on the second DLC character, Joker from Persona 5—who’s expected to come out in the summer. This character is part of the paid DLC Fighters Pass and won’t be given away for free.